Glamourbox Philippines is beauty in a box, head over to their website and choose a subscription plan to receive a box filled with 5 curated high end beauty products, pay only P1,200 to receive a box worth P4,000 worth of cosmetics and save even more when you fetch a Glamourbox voucher code, coupon or promo from the list below. 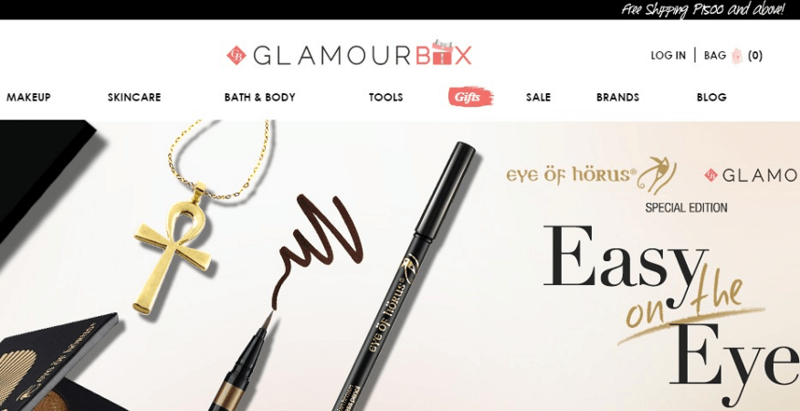 On top of being a beauty box subscription website Glamourbox is also an eCommerce store for beauty products such as make ups, skincare creams & oils, bath & body shower gels and hair care products which you can buy at lower prices with our vouchers & coupon codes that our iVoucherCodes team keeps updated on a daily basis, get Glamourbox discounts today! Glamourbox Philippines is a great way to experiment with branded makeup, concealers, face powders & cleansers without hurting the bank, their pricing model is a popular one that allows the consumer to purchase a box filled with specially curated beauty products and get genuine discounts of up to 75% off the retail price. Big makeup & beauty brands are keen to introduce their new product lines directly to the consumer and because of this they’re sometimes willing to offer big discounts on new products to get them out in to the market, companies like Glamourbox can lock in low prices with the retailers to have their makeup brands included in that months beauty box, this gives great exposure for beauty brands and great discounts for consumers making it a win win model for all parties involved. Glamourbox Philippines is the leader in this exciting category and has built up on impressive following on facebook and other social media outlets, try it out today so you can not only get amazing value for money but also carefully handpicked products from beauty experts, remember to check out our website for vouchers to get those extra discounts too.